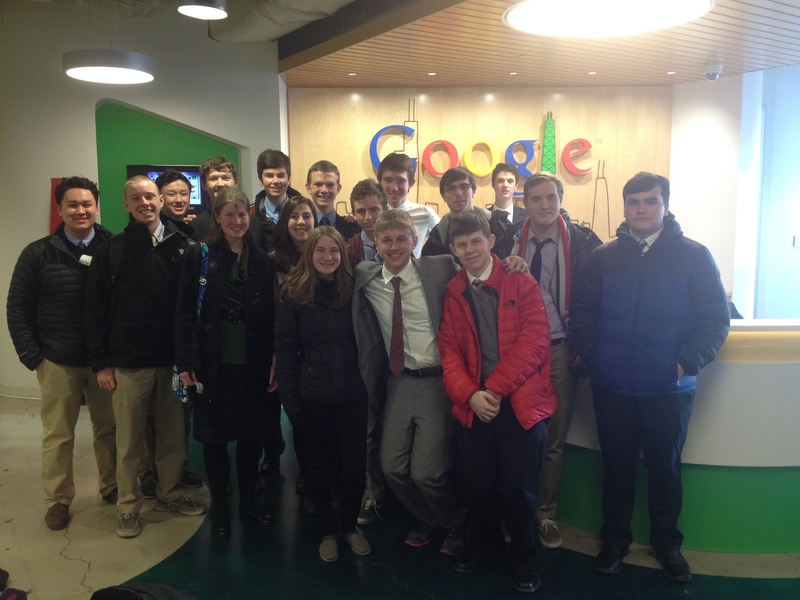 I led a group of students to a tour at Google’s Chicago office after school one day. My school had a special half-day for Ash Wednesday to focus on immigration as a social justice issue. 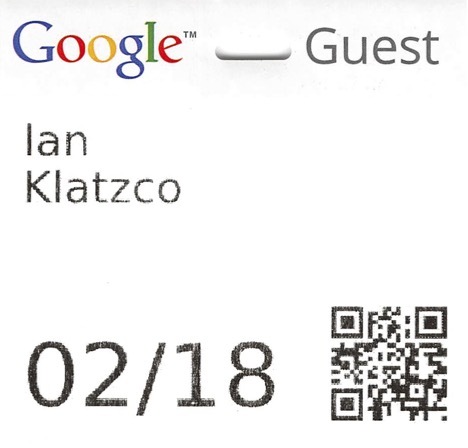 After a very unconvincing George W. Bush roleplay on my part for Model UN’s event, we grabbed lunch, boarded some buses, and made our way over to Google’s Chicago office (which is currently located on Dearborn and Kinzie). I’d wanted to check out the office since I was a freshman, so this was an immensely cool experience for me. Organizing the tour was particularly fun. When at a rather large MIT meeting in Oak Park back in the fall, I talked to an alum who also happened to have worked at Google. I asked him if he could give me a tour, and he gave me the contact of someone he knew there who’s particularly interested in teaching kids about computer science. I shot him an email, and he replied in January, inviting me and a group of 20-25 “engineering-focused students” to come check out the office for a tour, informational session, and panel. Unfortunately, we weren’t allowed to take photos, barring the one above, but we saw a lot of the classic Googley-themed open office space that you might expect. The office spanned some eight or so floors, and featured things like kitchens stocked with healthy food, miniature museums (even a piece of Fermilab’s particle accelerator! ), and a gym. I’m not quite sure what that QR code is - there seemed to be a sort of visitor kiosk at the main reception desk on the bottom-most floor - but it returns a string - “$80AE86311/”. Scanning friends’ badges revealed slightly different numbers, just sequential changes in the last two digits (not including the forward slash). I’m curious as to if that number format is anything special - please let me know if you know anything! One of the most interesting rooms (and where we spent most of our time) felt like a classroom - this was something our tour guide mentioned as deliberate, citing how Google’s major focus is on learning. Coming out of four years of eight hours, five days a week classes admittedly renders me a bit hesitant when thinking about an environment like that… but learning about computers! All day! That sounds really quite wonderful. Coming out of the tour, I can’t say that my opinion of computer science has changed too much - I’m still pretty resolutely committed to it - but I certainly do have a better appreciation for what Google does, which is sell ads. And sell ads well.